Fondren Underground may not be “underground” much longer. A series of MWB-crafted gig posters promoting the venue‚ a spot where undiscovered acts come to play‚ is being showcased in Lurzer’s Archive. Archive, a print and online magazine featuring “the best print campaigns, TV commercials and digital designs from around the world,” is a pretty cool place for Fondren Underground to appear. 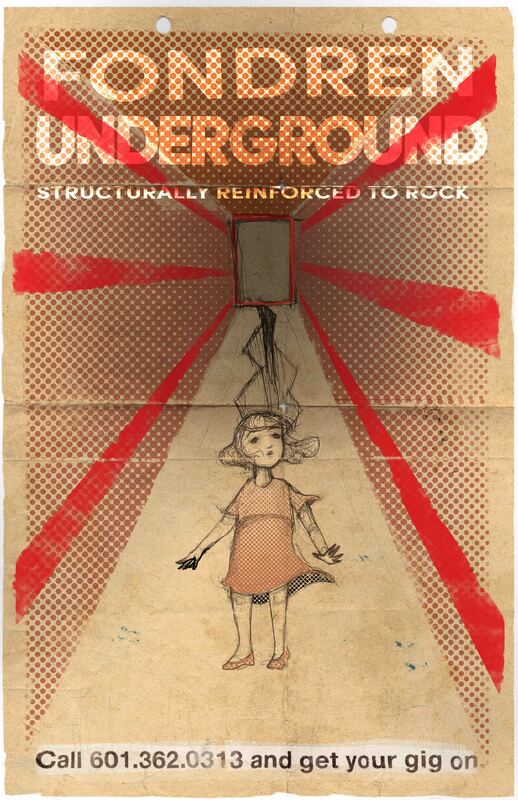 Through the illustrations, by MWB’s own Melissa Burns, the gig posters have an indie-rock, even goth edge. And through the lines, we play up the fact that most of the groups who take the stage are up-and-coming student rock bands still honing their craft. 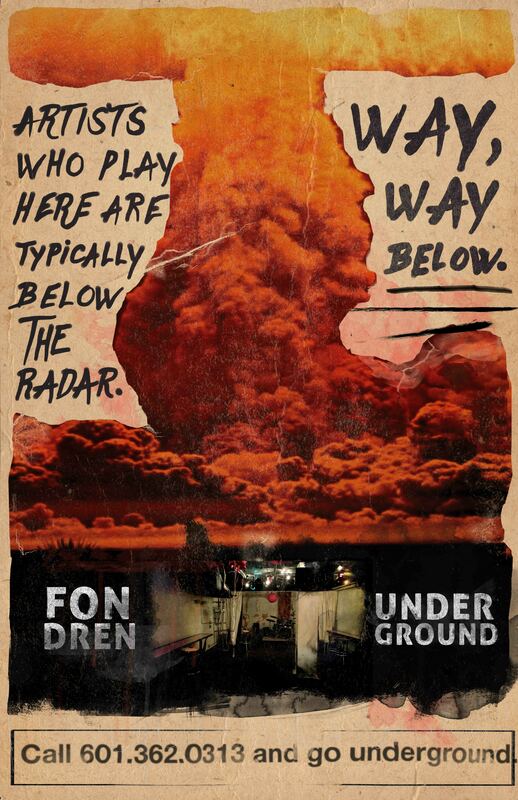 That, and the fact that Fondren Underground happens to actually be located underground, in the building’s basement. Check out the noise the posters are making in Archive: Radar, Mask, and Girl. 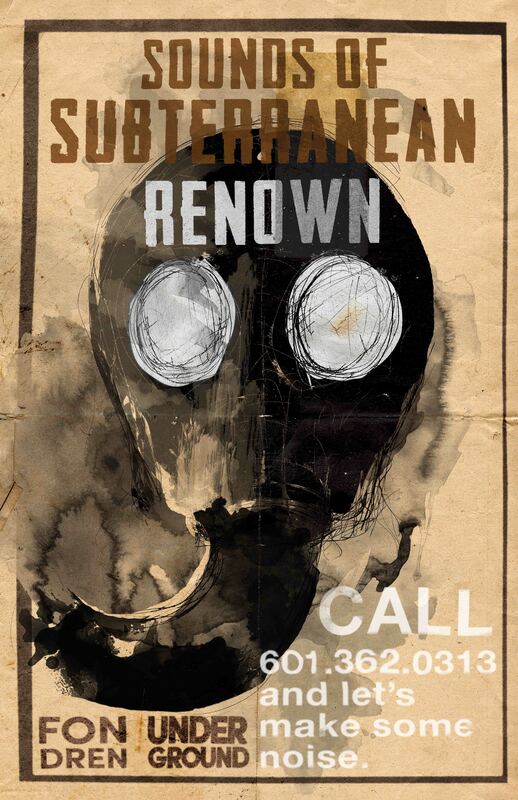 And look for them in Fondren and far beyond. This just in: Patrick says anybody from Belgium gets in for free.